A majority of marijuana growers if not all, sincerely ask this question. But is there really an approved method of increasing cannabis potency? We must admit that marijuana, just like everything else has become better over the years and has advanced strategically. However, it is also important to note that cannabis potency is not easy to achieve. It dearly needs some work and dedication.The question on whether cannabis potency can be increased is still a tale that has not yet been clearly told. Just like every other living thing, marijuana has genes. With each gene, is a certain percentage of both tetrahydrocannabinol (THC) and cannabidiol (CBD) that can be produced and no matter what is done, you may not surpass that percentage. Although the potency of cannabis is mainly attached to its gene, following certain guidelines would help improve the potency of cannabis. There are different factors that contribute to the potency of cannabis when growing it. However, when these factors are overlooked, they may be the same cause as to why you would get a reduced potency in your marijuana. Aside from the cannabis’ gene, these factors include the care and health given to the plant, the light levels exposed to it, avoiding pollination, good control of temperature and humidity, knowing the correct harvest time and a little investment in the curing process. The plant’s gene is the biggest jackpot when looking to get the greatest potency for your marijuana. Therefore, research should be made on which strains are the best before you begin growing them. For instance, if the marijuana you have can only produce about 12% of THC, there is no way that you would get a higher THC production than 12% no matter what you do. However, when you don’t use the right growing procedures, then you may end up producing lesser THC than 12% which would be a great disappointment. Therefore, make sure to get the best cannabis gene for good potency. This skill comes handy with a grower who knows at least the basics of farming. Giving the marijuana plant the best health and care is essential in improving the overall potency of cannabis. For instance, the grower needs to be aware of the right amount of water to give the plant. Over watering and under watering may bring about chlorosis or wilting of the plant respectively. Other conditions to be observed include nutrients, heat, and roots. Cannabis just like its local name weed grows as one. It may grow in minimal light conditions but its buds may only grow full in the presence of bright light. When grown outdoors, cannabis needs about eight hours of direct sunlight in order to grow to its fullest capability. When grown indoors, growers are advised to use bright glow lights. This observed factors consequently lead to improved cannabis potency. For higher cannabis potency, the male and female marijuana plants need to be separated during the flowering stage. This separation assists by preventing the female plant from getting pollinated and eventually making seeds. This process is known as “sinsemilla” which means without seed. Seedless buds generally increase the perception of quality when compared to buds that have seeds. Giving the plants the right tinge of temperature and moisture both at night and during the day helps in increasing the potency of the plant. Also, the grower has to bear in mind that during the flowering stages, the plant requires less humidity so as to avoid molds on the plant. A majority of cannabis growers hardly realize that they are harvesting their marijuana way earlier. During the flowering stage, there is a two-three week period in which the plant matures and the THC level present in the buds is high. It is at this stage that harvest is encouraged. 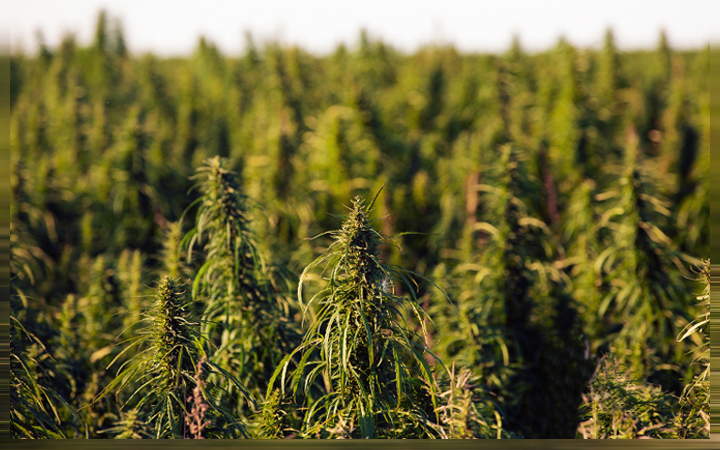 When the harvest is done later, the chemical profile in the marijuana may have changed and the THC percentage reduced. Also, an earlier harvest is not good as the plant may not have reached their full potential hence the lack of increased cannabis potency. This is the process where the cannabis buds are jarred after they have dried. It is apparent that this process helps protect the potency of the bud though it is not known whether the process in itself increases the cannabis potency. While the genetic potential remains the major aspect in which cannabis potency may be increased, the other factors are greatly encouraged so as to come with the great cannabis potency. Growers should also keep in mind that marijuana is just not like any plant. It is to be treated specially in every way. These are all great tips. Anyone who disagrees is either trying to sell you something or subscribes to their own myths. Necessary tips. Growers should also keep in mind that marijuana is just not like any plant. It is to be treated specially in every way. Growers should know it is just not like any plant. It is to be treated specially in every way. greatly encouraged for the great cannabis potency.